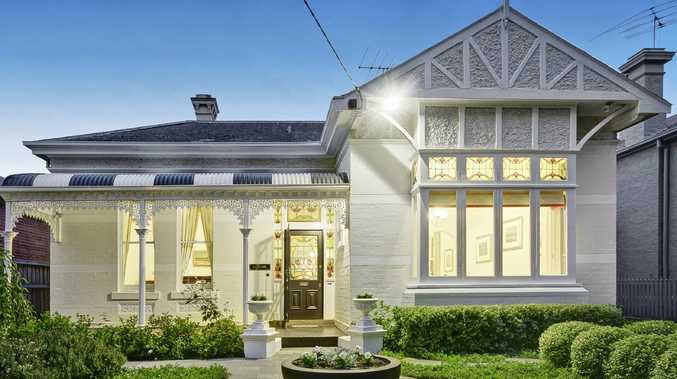 Good auction clearance rates are hiding some bad news for the property market. The big question for Australians right now is the future of the property market. Up? Flat? Down even more? The need to know what will happen next to house prices has us trawling for clues. The favourite place to look for answers right now is auction clearance rates. They are giving some healthy signs for homeowners. Clearance rates in Sydney last weekend were 62.2 per cent, much higher than the frightening numbers in the 40 per cent to 50 per cent range the market was registering late last year. The national average clearance rate is now 56 per cent - not high but not rock bottom. This appears to be a sign the property market is improving. But how much can we trust it? Auction clearance rates are only a good clue to the property market if you understand what you are looking at. The first thing to know is clearance rates are seasonal. Just as there is football season and cricket season so there is an auction season. More homes are auctioned in spring than at any other time. The variation in the number of homes up for sale affects the proportion of them that gets sold. At the start of the year, auction numbers are lowest and auction clearance rates are high, as the next graph shows. The first thing to know is clearance rates are seasonal. This chart shows the auction clearance rate in blue, and the number of auctions in grey. The number of auctions drops to roughly zero each January. Just after that, as the first few auctions of the year commence, the clearance rate goes up. You can see the pattern each year - the blue line bumps up as the year starts. Clearance rates rise higher than their level at the end of the preceding year. So it is dangerous to compare March clearance rates with December. Just because auction clearance rates are higher now doesn't tell us much about what they will do in the rest of 2019. They could keep rising, perhaps back to levels that make house prices rise. But they could also fall. That's not the only thing to know about the auction market at this time of year. The second risk of relying on clearance rates is what they are not telling you. The rate explains what share of houses got sold. But it does not explain how many were up for auction. That can give a misleading sense of the health of the property market. Weaker prices in 2019 have meant far fewer vendors are willing to take the risk of selling. Auction volumes in 2019 are well below 2018 levels - just 12,700 homes have been auctioned in the past six weeks compared to 17,200 in the same six-week period in 2018. That's about 35 per cent more in 2018 than 2019. The reality is that much less trade is happening - fewer houses are changing hands. And the reason for that is mostly vendors. People selling their home often have an idea in mind of the price they want to sell their property for. They can get stuck on the idea they must sell house for a certain price - perhaps the same price the neighbours got in late 2017. This is called anchoring bias, because the price they have in mind is like an anchor that tethers them to the spot. If they sell for less than their anchor price that feels like they are making a loss. Anchoring bias is why the property market changes price more slowly than the share market. People who bought houses are more likely to have an anchoring bias than the algorithms that buy and sell shares. As property prices fall, it will take time for the anchors to move. Some homeowners might simply never sell, preferring to hold onto a property for however long it takes for prices to recover, even if that doesn't really make sense. The anchoring bias is one reason why the clearance rate is a good guide to future prices. If sellers just took the best offer they could get, the clearance rate would always be near enough to 100 per cent. It is that unwillingness to sell at auction that keeps properties on the market afterwards. And when enough owners are unwilling to sell, the stock on the market keeps building up, and the game gets easier for buyers. That's why clearance rates can be a guide to future prices. The big question now is whether all the homeowners who didn't sell at auction at the start of the year, and all the people who didn't even put their property on the market yet will change their mind. Spring auction season is only six months away. Will we get a rush of sellers? And will buyers come out to meet them? Watch this space to find out.